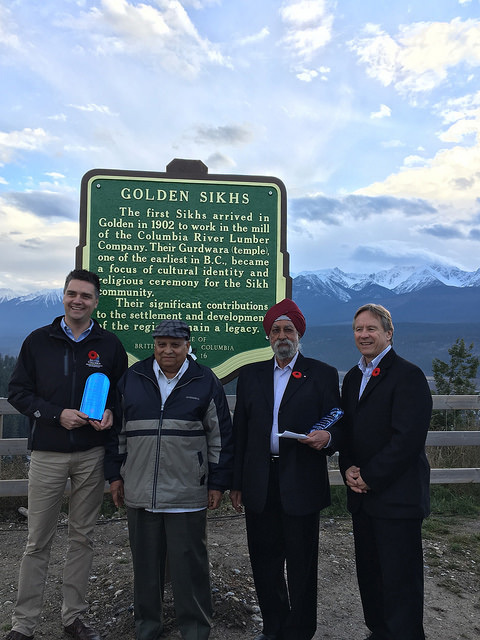 A new Stop of Interest sign was unveiled in Golden today, recognizing the community’s early Sikh pioneers and the role they played in Golden’s history. In addition, the Province is adding up to 75 new Stop of Interest signs. British Columbians are invited to submit ideas for new Stop of Interest signs and share interesting stories that could be told to people travelling B.C.’s highways. Submissions will be accepted through Jan. 31, 2017. The Ministry of Transportation and Infrastructure will install the majority of the new Stop of Interest signs in late spring/early summer 2017.